Money Laundering Defense Attorneys - Oberheiden, P.C. I’ve Been Accused of Money Laundering. What Happens Next? 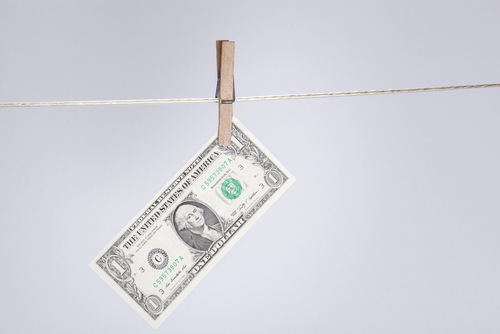 Generally speaking, money laundering is the practice of using a business to conceal cash or assets that are the products of criminal activity. Federal law makes it illegal to conduct certain financial transactions with proceeds generated through specified unlawful activities. See 18 U.S.C. § 1956, 1957. “Specified unlawful activity” is a broad term, which includes underlying crimes such as narcotics-trafficking, bribery, gambling, counterfeiting, theft, embezzlement, and fraud, in addition to violent crimes such as murder, robbery, and arson. Prosecutors have a low burden when proving that money constitutes proceeds from a specified unlawful activity. Proceeds are defined as “any property derived from or obtained or retained, directly or indirectly, through some form of unlawful activity, including the gross receipts of such activity.” 18 U.S.C. § 1956(c)(9). Importantly, federal law permits the federal government to prosecute someone for money laundering without showing the defendant knew the money was coming from criminal activity. See 18 U.S.C. § 1957. In other words, the federal prosecutor can prosecute individuals who are willfully ignorant of the source of the money. Thus, a person’s lack of knowledge about the origins of the proceeds is not always a defense to a money laundering charge. Willful blindness is an often-disputed issue that arises in many money laundering cases. The penalties for money laundering can include a substantial prison sentence and hefty fines. The United States Sentencing Commission Guidelines provide for multiple sentencing enhancements depending on the techniques used to launder the money. Money laundering convictions also allow for asset forfeiture, which means that the federal government can seize real estate, bank accounts, vehicles, and other items belonging to the defendant. First, contact an experienced attorney right away. It is crucial to retain an attorney at the outset of your case to protect yourself and to prepare a defense, if necessary. Second, do not discuss the matter with anyone other than your retained counsel. The attorney-client privilege protects the privacy of communications between you and your legal counsel. Such a privilege does not apply to communications you have about the case with any other person (including via email, social media, or otherwise). You should especially refrain from making statements to law enforcement without first seeking the advice of legal counsel. Third, be proactive in your defense. Even without legal expertise, you can assist your attorney in preparing your defense. For example, your attorney may need you to provide him or her access to documents and information concerning your business activities. Having access to the relevant financial records can prove extremely valuable should it become necessary to conduct an accounting of the allegedly illegal financial transactions. If you have been charged with money laundering, contact our offices to speak to an attorney who can protect your rights.